Rain poured down on campus Thursday night, March 21, but at 7 p.m. the Black Box Theatre was full of laughter. Thursday kicked off the Theater and Comedy department’s first Comedy Festival, a four-day event featuring improvisation, stand-up, sketch and one-act comedy in the program’s most ambitious event to date. The Pioneer Players, William Paterson’s improvisation and theatre club, took the stage the first night. The club started with short-form improvisation games, including “Buzz,” “Space Jump,” “the Dating Game,” “Lazy Susan,” and “I Like My Women.” In each, host Kellyn Barnes took suggestions from the audience, which the Players used to create scenes. In the night’s next segment, the Players performed long-form comedy for the first time ever on the William Paterson campus. Until Barnes shouted “scene,” the Players used the audience suggestions to improvise an on-going skit. The suggestions were “going to a waffle house” and “breaking up a four-year engagement,” which were based off of actual students’ experiences in the past two weeks. From deadly staplers to affairs with clowns, no one in the audience kept a straight face. The other professional comics who performed were Rob Santos and Olga Namer. Ethan Lyte, Kasey Arnold, Kate Lawlor and Richie Vigliotti were the student comics. 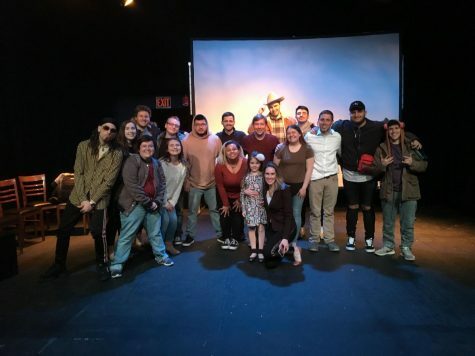 Current student comics and alumni came together Saturday night for “Sketchfest,” where they performed the Theatre and Comedy department’s most popular sketches over the years. Among these was a commercial for “Brosetta Stone,” a guide to millennial slang for confused parents, and a sketch where stickers of puppies and scratch-and-sniff fruit were portrayed as drugs. The festival concluded Sunday afternoon with a series of students’ one-act plays and screenings of student comedy videos. Several students worked alongside Lexi Cullen-Baker in directing the Comedy Festival. “It was hectic but fun,” said CJ Von Essen. Von Essen is president of the Pioneer Players. In addition to directing, he acted in the improvisation show, Sketchfest, and the one-act plays. “The goal was to let students know that [comedy] is an actual career that they can do,” said Cullen-Baker. 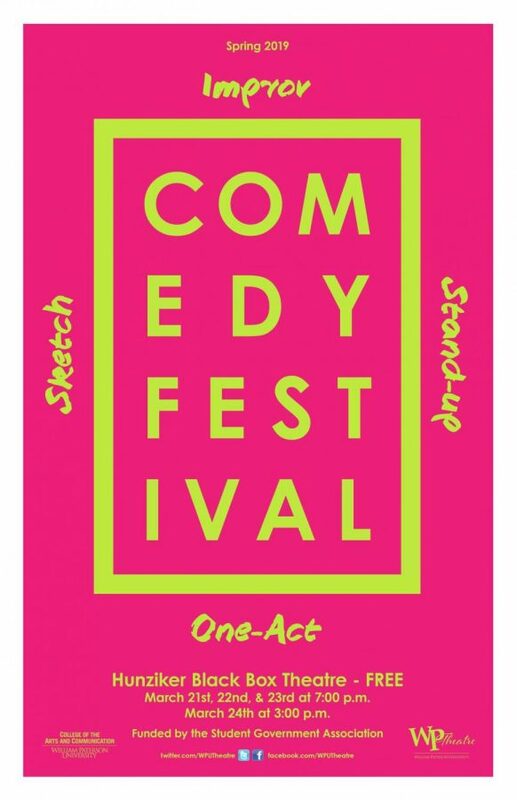 The Comedy Festival was coordinated by Dr. Elizabeth Stroppel.